Most people know that stem cells may be the key to curing certain diseases and healing injuries. Stem cells also feature in the novel I’m writing. The research I’m doing right now is to settle on a type of stem cell that will explain how the characters in my novel rejeuvenate and heal from inuries or disease. Last week, I introduced stem cells and specifically, Somatic or Adult Stem Cells. This week I’ll discuss something a little more controversial. 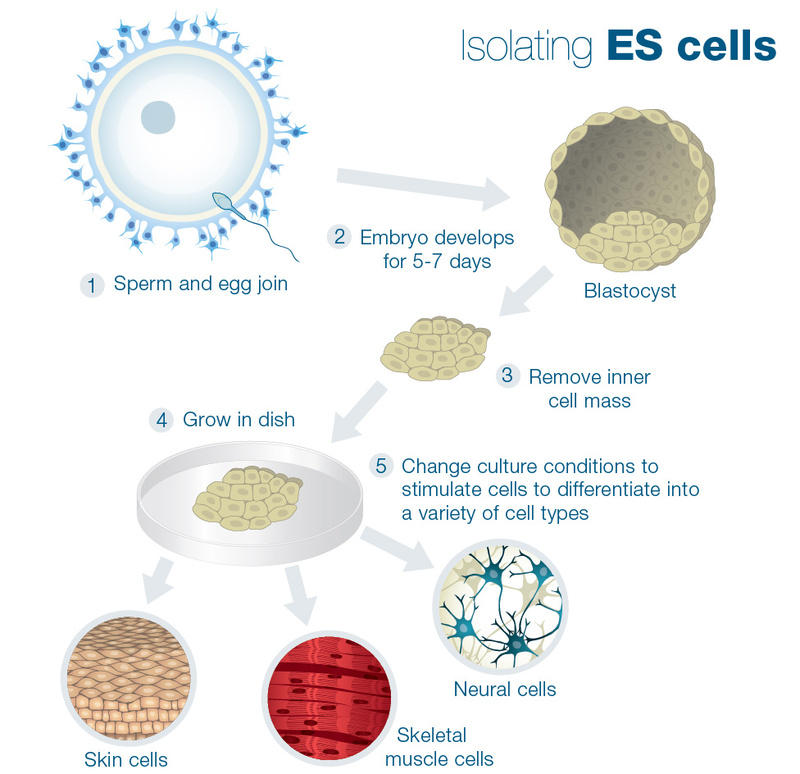 Embryonic Stem Cells or hES– After 5-7 days of development, an embryo sports a collection of unspecialized cells which have the potential to specialize into any cell in the body. If captured and grown in a lab, theoretically, they could be implanted in someone to replace lost or damaged cells.One of the problems is that even at 5-7 days of development, the hES cells have markers that would tell the recipient’s immune system to destroy the new cells. Those treated with hES would need immune suppressing treatments for the rest of their lives. But there is another way, that might solve the immunity problem. 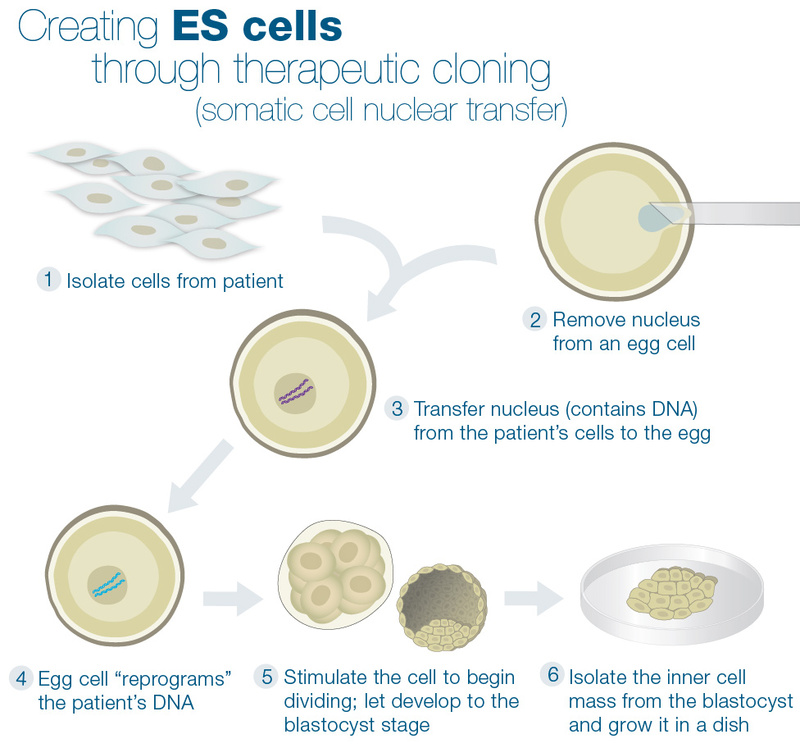 Create a human embryo in the lab with the donor’s own DNA. The process is called therapeutic cloning and it’s only been done on a human once. 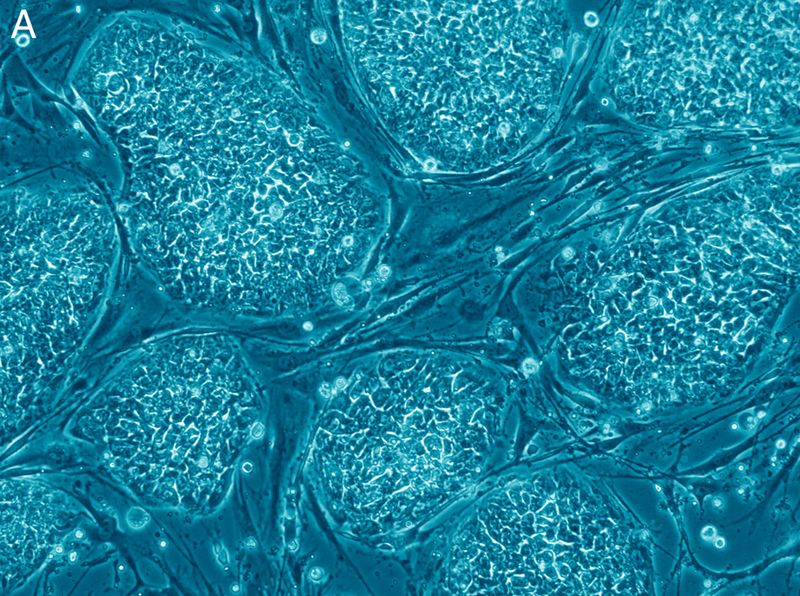 In theory, stem cells transferred from the recipient’s clone will not be rejected. The problem? It’s so controversial you probably already know it. Stem cells removed from an embroyo could cure an adult or child’s disease, but they destroy the embryo. While I would like to include some of that controversy in The Phoenix Gene, claiming that embryonic stem cells heal and rejuevenate the characters is not believable. The characters create the stem cells within their own bodies, not a lab. Their healing is from a gene found in the human population long before people knew what genes or stem cells were. It creates interesting problems for characters trying to explain their conditions over the centuries, but they aren’t destroying ebroyos in order to stay young. Yet there might be a better way to generate stem cells, both in my novel and in real life. I’ll talk about those in next week’s post. Ooh, are you referring to iPS cells at the end? You might enjoy the book The Epigenetics Revolution by Nessa Carey. Kind of a generic title, but it was great – a little dense for people with no biology background, but super informative.